€45k payouts for borrowers ripped off by the tracker mortgage scandal. Borrowers ripped off by the tracker mortgage scandal have been paid up to an average €45,000 in compensation and redress, new figures show. Struggling borrowers lost their homes in almost 50 cases specifically with three of the main banks. New figures provided to the Oireachtas Finance Committee reveal the average combined redress and compensation paid to affected customers from the lenders range from €21,000 to €45,000. The detail obtained by the Irish Examiner is contained in questionnaires about the tracker mortgage scandal answered to the committee by Allied Irish Bank, Bank of Ireland and PTSB. As mortgage payments shot up after lenders wronged customers over the low-cost borrowing rate, many households and families experienced stress, mental trauma, family problems and also lost their homes. Up to 33,700 customers have been affected and the cost through compensation, redress and legal costs for the banks is set to reach close to €1bn, the committee heard this week. This is before substantial fines or sanctions are applied to lenders. However, new figures reveal which lenders’ actions resulted in people losing their homes as a result of being taken off tracker mortgages or being denied the low-value rate. Answering the questionnaire for TDs and senators, Allied Irish Bank said 14 homes have been lost while Bank of Ireland said four were surrendered. More home losses could also emerge, the bank said. PTSB admitted that it has identified some 31 cases where a loss of ownership has occurred. All cases across the three lenders included a small number of investment properties. Additional homes where ownership was given up because of mortgage overcharging are expected to emerge when KBC and Ulster Bank also answer the committee queries. Elsewhere, the average compensation and redress payments from the three lenders were outlined. Average compensation paid to AIB customers so far is up to €6,885 while redress payments average €39,213. The average Bank of Ireland compensation is €3,404 and the redress is €17,330. For PTSB, the average compensation is €7,500 while the redress averages €22,000. In all cases for the three lenders, the averages have differed for principal dwellers and investment cases. During this week’s hearing with the Central Bank, Finance Committee chairman, John McGuinness, told governor Philip Lane and his staff that lenders have been “hoodwinking” the regulator. “I hope you have a big mirror down there that you will look into,” quipped the chairman. Mr McGuinness said recent movement from the banks to work on tracker scandal is merely “a smokescreen” until the issue goes away, and that it is not a real culture change for the lenders. 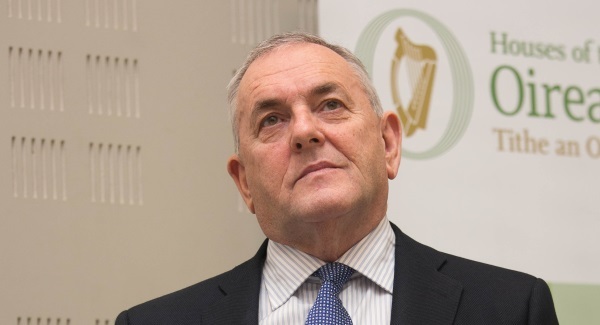 The finance committee chairman also spoke of vulture funds who are now the ones pursuing customers in mortgage arrears and how this is now damaging borrowers in distress. In the questionnaires, AIB said it has examined 650,000 accounts. By the end of December, almost 4,500 account holders were identified as impacted by the mortgage scandal. Up to 95% of these have been resolved and the rest will be by March, the lender believes. Bank of Ireland told the committee that, as of the end of December, 9,400 customers were identified as impacted and more than 8 out of 10 of these customers have been contacted with an offer of compensation. The remaining cases and customers will be compensated and resolved by the end of March, the committee was told. PTSB said that it has by now identified 1,979 accounts as impacted. The bank said that it has issued redress and compensation letters to all of these customers. The committee heard this week that Ulster Bank will be the main reason customers wrongly charged will have to wait until June for compensation and their cases to be resolved. The lender claims this is a systems problem, but the bank is facing strong criticism for the delays from TDs and senators.